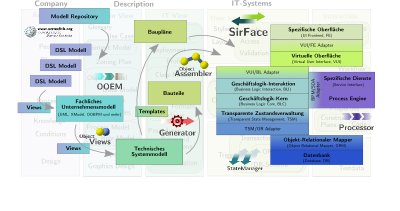 EM/OS (Enterprise Model Operation Services) by Sphenon GmbH is a system to produce and operate business software solutions, ready for production, based on domain oriented models. EM/OS is the result of a more than 20 year long product development, matured in continous usage in projects. From our point of view, EM/OS can be considered the most innovative technology in the area of modeldriven software development. EM/OS transforms clear and comprehensible, domain oriented models by means of multistep process into parts and blueprints, which are then dynamically assembled at runtime to adopt to their given environment. 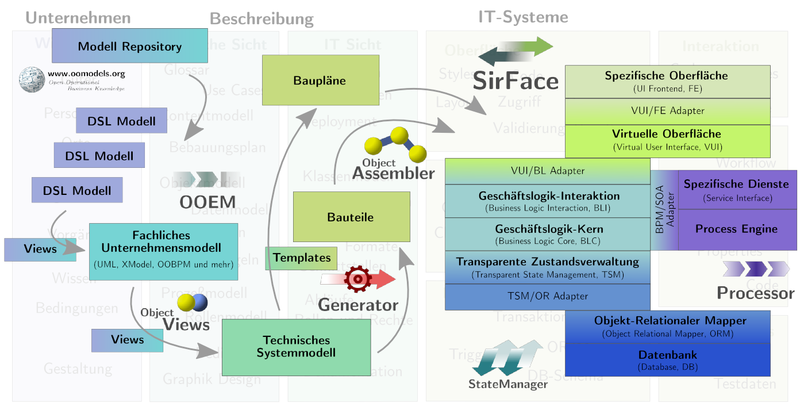 Learn more about the creation of EM/OS at our homepage (Sphenon GmbH).